You can edit post details from both the web and mobile apps. You can edit post details by clicking the pencil icon from the top right within a post on both the web and mobile apps. There will be a full audit trail detailing each change within the post timeline. 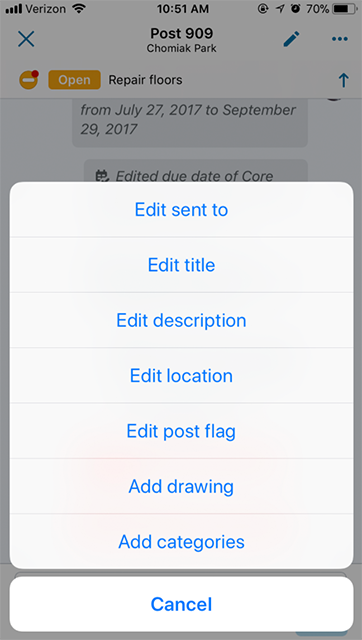 From mobile and web you can add or edit the recipients (Sent to), title, description, location, post flag, associated drawing or categories. Note: If the post was created by someone from a different company, you will not be able to edit the title, description, location or post flag.